Turkey is known for many of its handcrafted items — rugs particularly. However, on this trip, I stopped at a factory that created ceramics. These intricately painted items are sold throughout the country and feature beautiful patterns and pictures. 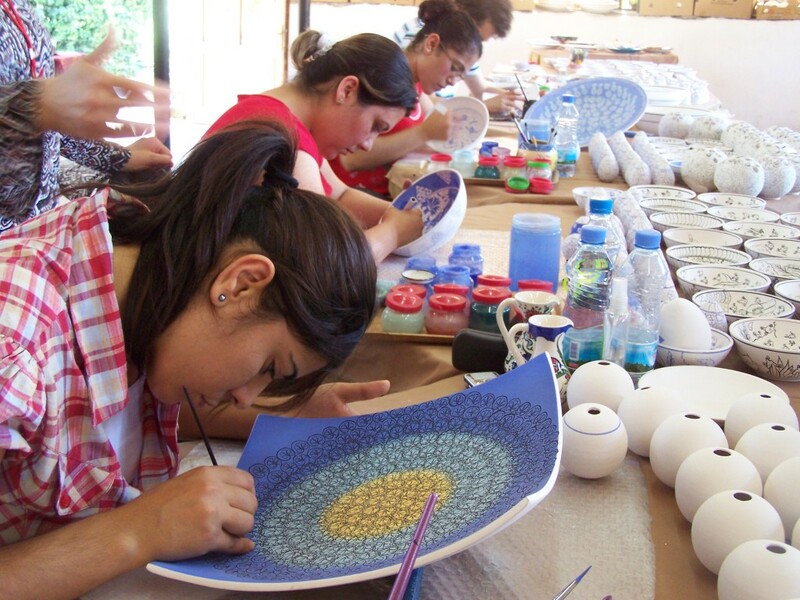 Here, a girl painstakingly outlines the design of a plate in a factory just outside of Fethiye. beautiful; you make me miss Turkey so much! Yep! I can see that plate going nicely in my flat! Ha! You, too?? I love it! You should see the finished product! Amazing!